Global stocks staged a minor recovery with gains being recorded across Europe and Asia except for mainland China. The recovery was mainly as a result of market participants being calmed by comments from market leaders such as Goldman Sachs who remain fairly optimistic about economic growth despite recent sell-offs. The US dollar also staged minor recovery as US Treasury yields rose on the day. Emerging market currencies and particularly the rand weakened to a day’s low of R14.44 against the greenback. AT 17.00 CAT, the rand was 0.64% weaker to trade at R14.40/$. Listed property stocks traded mostly firmer on the day. 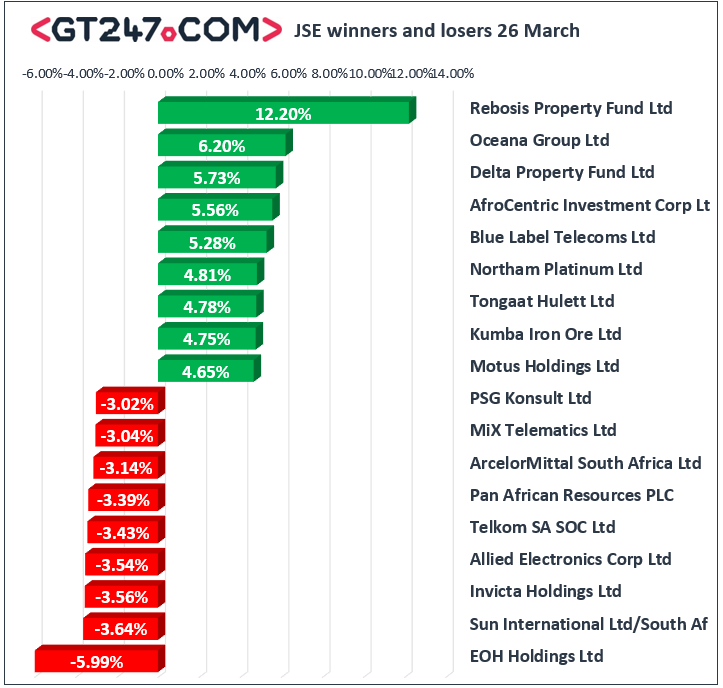 Rebosis Property Fund [JSE:REB] rallied 12.2% to close at R1.84 as it finished amongst the day’s biggest movers. Delta Property Fund [JSE:DLT] added 5.73% to close at R1.66, Equities Property Fund [JSE:EQU] advanced 3.39% to R19.50, and Fortress REIT [JSE:FFB] closed 3.28% firmer at R11.64. Kumba Iron Ore [JSE:KIO] gained 4.75% to close at R405.40, and platinum miner, Northam Platinum [JSE:NHM] added 4.81% to close at R67.30. Tongaat Hulett [JSE:TON] clawed back 4.78% as it closed at R18.65, while Motus Holdings [JSE:MTH] advanced 4.65% to close at R79.96. EOH Holdings [JSE:EOH] struggled significantly on the day as it fell 5.99% to close at R12.71. Telecoms provider, Telkom [JSE:TKG] lost 3.43% as it closed at R73.39, while Pan African Resources [JSE:PAN] shed 3.39% to close at R1.71. Gold miner, AngloGold Ashanti [JSE:ANG] dropped 1.03% to close at R205.33, while Gold Fields [JSE:GFI] also faced headwinds as it fell 2.38% to close at R57.73. 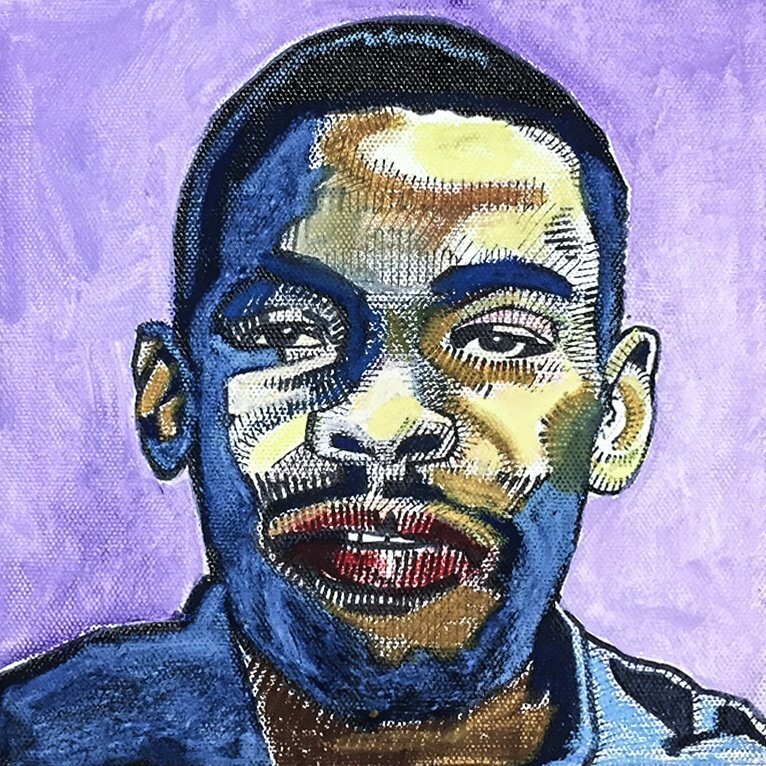 The weaker rand weighed on financials such as Capitec Bank Holdings [JSE:CPI] which lost 1.95% to close at R1282.05, as well as Standard Bank [JSE:SBK] which dropped 0.72% to close at R178.79. Rand hedge, Bid Corporation [JSE:BID] closed at R292.12 after dropping 1.39%, and Sappi [JSE:SAP] closed 1.85% weaker at R65.36. The JSE All-Share index eventually closed 0.49% firmer while the blue-chip JSE Top-40 index added 0.43%. There was a complete turnaround from the previous session as all the major indices closed in the green today. Industrials added 0.11%, Financials gained 0.39% and the Resources index was the biggest gainer of the day as it climbed 1.19%. Brent crude was buoyant as the US mauls over the existing waivers to Iranian oil which were extended to some countries when the US imposed sanctions. Brent crude was trading 1.09% firmer at $67.94/barrel just after the JSE close. At 17.00 CAT, Gold was 0.53% weaker at $1314.85/Oz, Palladium was down 1.93% to trade at $1541.26/Oz, and Platinum was 0.38% firmer at $861.85/Oz. judgment in all aspects of your trading decisions and all trades are made at your own risk. 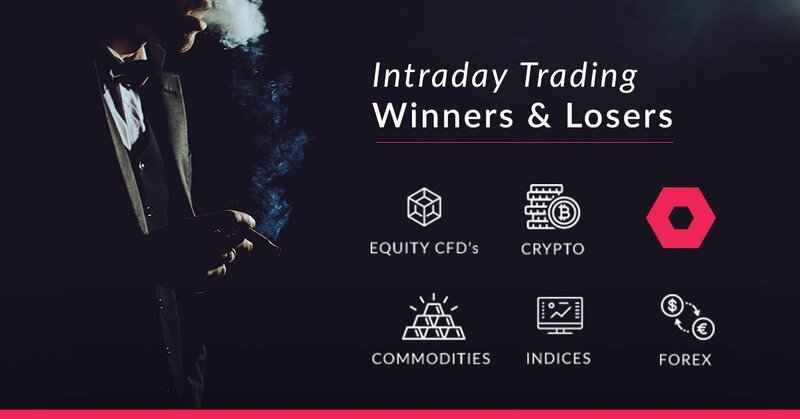 GT247.com and any of its employees will not accept any liability for any direct or indirect loss or damage, including without limitation, any loss of profit, which may arise directly or indirectly from use of or reliance on the market commentary. The content contained within is subject to change at any time without notice.